CV - "Dos and Don'ts"
Employers do not have the luxury of time to read your entire CV so maximizing the value of what they do read is important in getting to the next stage of the recruitment process. Picking the correct information to emphasize and include on your CV can be the difference between securing an interview and getting your application thrown in the bin. The most important thing to do is to personalise your CV in a way that reflects what the potential employer is looking for, and what the role requires. Firstly, research on the role and the organization you are applying for is important to get the most out of your CV. By looking at the skills and qualities required in the job description you have applied for, you can determine which elements of your experiences and characteristics you want your employer to read. Secondly, by researching the organization or business that has the vacancy, you can get an insight into what they do, and what you can add to the role. This initial research is essential in producing a CV that fits the role you are applying to and gives you the best chance of being successful in your application. The next thing to do is to ‘dress’ the aspects of your CV in a way that is attractive to the employer, based on the research you have just done. Job descriptions often list the qualities they are looking for in a candidate, and using these characteristics as keywords in your application can be a useful tool. If applying for a role which is looking for candidates with organizational skills, a good strategy is to include the keyword organization in the section describing your skills. Often employers use artificial intelligence to identify strong applications by looking for buzz or keywords, so picking the words you use in your application is very important. Personalization to the role and organization you are applying for needs to be carried out throughout your CV. Although the ‘Hobbies and Interests’ section of your CV may be commonly overlooked, it is still worth the time to cater this section to a specific employer. This may mean portraying an interest in travelling for a job that has international aspects, or experience of extracurricular roles with responsibility in a group or society to suggest you have organizational or management skills. Providing evidence that you have the qualities and characteristics required for the vacancy is vital in a strong application. For example, if the role you are applying to is a management position, it is worth showing and indicating that you have strong leadership skills. The way to do this is to phrase your past experience in a way that portrays this. It may be impossible to change the facts of what you have done in your previous employment, but highlighting elements of the role which suggest leadership experience is a good way of providing evidence of your management skills. Evidence of your attributes is important in all types of job applications, and don’t be afraid to include the specifics of what you have achieved or done in the past. For graduates, it may also be worth remembering that it is not always the specifics you have studied in your degree that matter, but the skills you have acquired in the process. Depending on the role, you may want to think about how you portray what you have done at your time at university. For example, if applying for a role with organizational or operational duties, it may be worth highlighting the development of critical thinking skills when undertaking your degree. The key to a successful application is matching your CV to what the employer is looking for and portraying yourself as an attractive candidate. 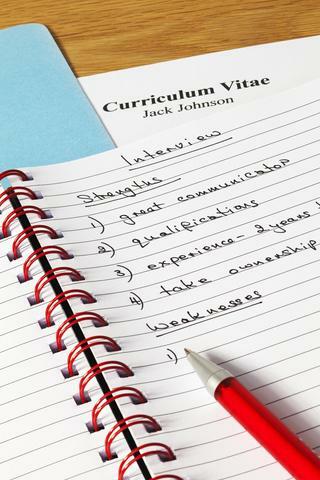 How long should your CV be?